The Gold Coast is one of the most visited places in Australia. From the crystal blue water of our infamous beaches to the heart pounding action of the numerous theme parks, there’s something for everyone in this magnificent region. But did you know we have some amazing places to take a scenic drive. Stretching from Chinderah to Brunswick Valley, Tourist Drive 40 provides not only a view into nature, but some quaint small-town places to stop along the way. From old fashioned corner pubs through to fields of Queensland sugarcane, you can even hike to the waterfalls of Mooball National Park. Take your time and enjoy the sites and take care driving the infamous windy Burringbar Range. Drive Currumbin Creek Road, just off the Pacific Motorways M1 through lush sub-tropical greenery, passing farms, villages and gardens, stay at any of the amazing bed and breakfasts or pack a picnic lunch to spend with your family. There’s bushwalking where you can see the native flora, fauna or even a few animals perched in the tress of this native rainforest. If you’re looking for a tranquil setting Tamborine Mountain on the Main Western Road. Visit the Rainforest Skywalk where you can view the rainforest from 30 metres above ground or pop into wineries like Witches Falls, Tatra and Cedar Creek Winery grab a bottle from each to take home and enjoy. Follow the coastline to the gorgeous blue Rainbow Bay of Coolangatta, towards the border with Tweed Heads, you’ll see the dazzling beaches like Snapper Rocks and Kirra Beach you might even want to keep going all the way down in Sydney to Byron Bay or head back past the must see beaches like Currumbin, Burleigh and Broadbeach. 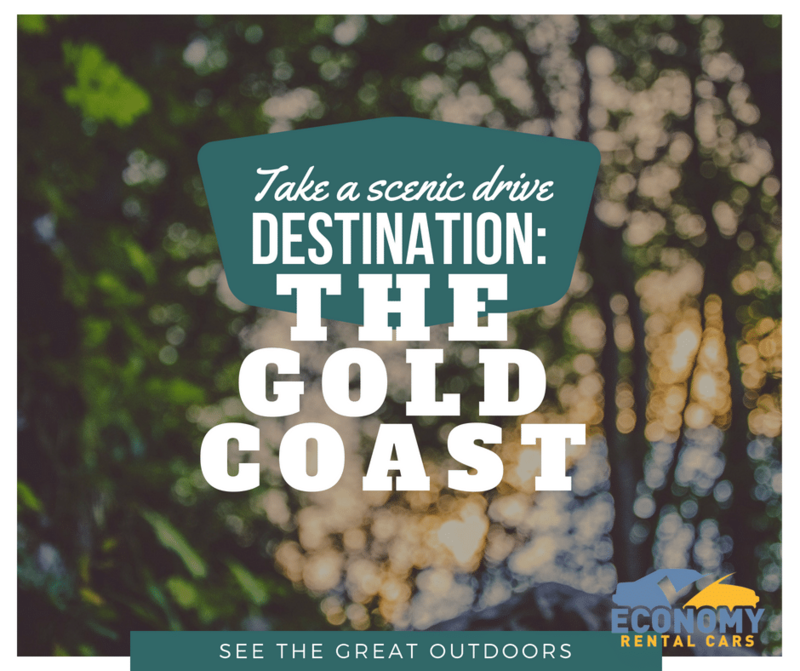 When you pick up your rental car from Economy Rental cars there are so many places you can visit, the staff know the Gold Coast like the back of their hand and can gather some great information and the best route to take to get to your destination here on the Gold Coast.